Irisca is a Super Assault iris-like Bakugan. Irisca is the fourth BakuBolt series Bakugan. It's Sphere Mode is similar to Lumitroid, while it's Real Mode is very similar to Tentaclear. 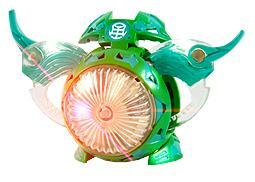 Purchase your Irisca Bakugan from Amazon now!